Last week, Kylie Jenner celebrated her birthday early in a black lace bodysuit that showcased her confidence and reminded us why she’s a #Girlboss in more ways than one. In the advent of her official birthday this week, we are rounding up four PR tips inspired by the young makeup mogul. Kylie shocked us all when she tucked away her signature dark brown strands underneath a mermaid-like green wig. Since then, Kylie has been seen rocking various hair hues including pink, emerald green, blonde and even rainbow bright French braids. Rightfully so, the hair chameleon partnered with Bellami to create Kylie Hair Kouture, so that other girls could achieve many of Kylie’s popular locks looks. For the youngest Kardashian-Jenner, standing out from a group of beautiful women can be tricky, but Kylie nailed it, in more colours than one. In PR, standing out from the crowd is hard to do and as shown through Kylie’s success, being different is great for business. When Kylie’s lips grew a few inches larger than usual, everyone was quick to throw shade at the then young 17- year -old. While everyone was fascinated with Kylie’s lips, she capitalized on the attention and created a cosmetic line where she could use her new attribute to market Kylie Cosmetics, which became an instant success. PR is all about finding opportunities, even in negative publicity, to create stories that support your brand. 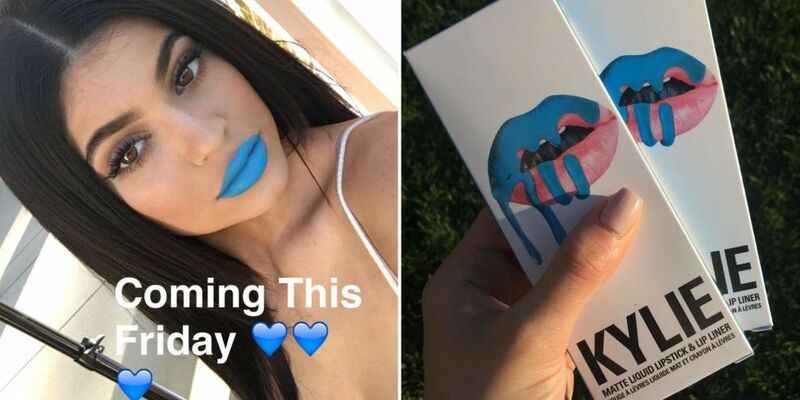 Whether you love or hate Kylie’s lips, we all contemplated on buying one of her lip kits. It’s even better when your PR team consists of the highly outspoken Khloe and Kanye. When Amber Rose attacked Kylie on Twitter, Khloe was quick to defend her little sister, leaving Kylie with no need to respond. Similarly, Kylie never publicly stated if she was dating Tyga, instead we have Kanye defending the relationship for her and you know everyone listens to Ye’. Here on the fourth floor, we understand that not everyone has a Khloe or Kanye in their corner, so hiring a team that knows how to protect your reputation in difficult situations is just as beneficial. Luckily for Kylie, her team happens to be her family. Getting started in your career is no easy feat, especially being the youngest in the Kardashian clan. With brands like Kylie Hair Kouture, Kendall + Kylie Clothing and Kylie Cosmetics, the 19-year-old has made her own lane that many of her sisters have not travelled down before. With the recent success from her lip kits that continue to sell out in seconds, this #Girlboss shows no signs of slowing down. There’s definitely no living in the shadows here.